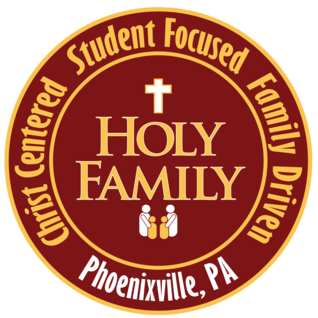 At Holy Family there is a Concert Band program available to students. Parents with children in grades 4-8 can sign them up to play an instrument in either Beginning Band or Advanced Band. The instruments available are Flute, Clarinet, Alto Saxophone, Trumpet, Trombone, Snare Drum, and Bells. Students attend half hour lessons once a week during the school day on Fridays. The lesson times rotate so students are not missing the same classes each week. The whole Beginning or Advanced Band also meets during recess on Fridays for a group practice. Students perform in two Band concerts throughout the year, including Christmas and Spring Concerts. Both bands perform in the concerts. Students have an opportunity play a variety of music from marches to popular songs. Band is a great way to get involved with music at Holy Family!